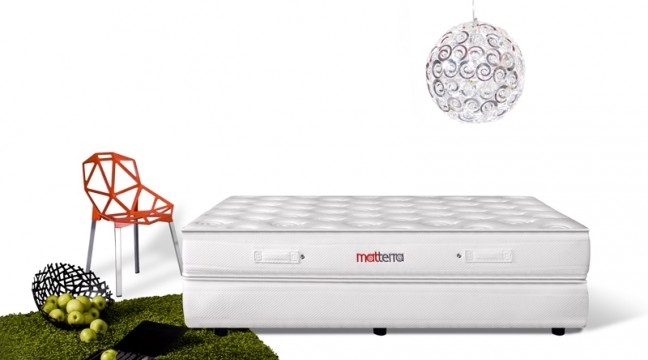 Matterra is a top quality pocketed-spring mattress. 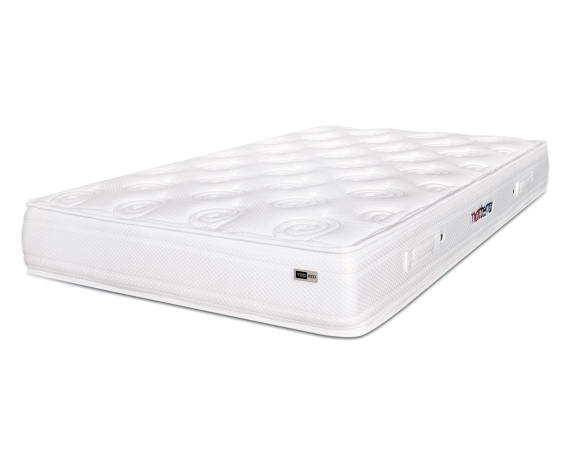 It offers exceptional body comfort achieved by a special construction of the core of the mattress: pocketed springs inside covered on top and bottom by memory foam. This polyurethane foam has the characteristic to "remember" so it adjust itself following the shape and the movements of your body. MATTERRA has a rich quilt on both sides with a special spiral design. Natural materials on both sides guarantee skin comfort in different climate conditions – wool for autumn/winter and cotton for spring summer. The product has a very original and practical packaging. It is roll-packed in a roller box – a box that you can easily transport to your home or summer house. 7. 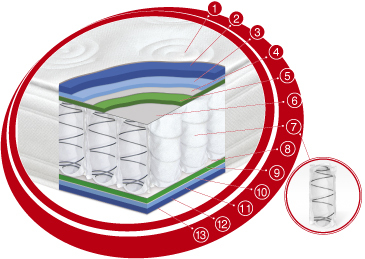 A patented device for dispersion of the geopathogenic influences is built inside the core of MATTERRA. From ancient times people understood that the Earth exerts different influences on their physical and emotional states. For this reason, ancient civilizations identified different places with strong positive energy, where they built their temples and homes. At the same time, they escaped the areas with strong negative influences. As time passed, a great portion of the knowledge of ancient people was lost, though many other ancient theories were explored and developed by contemporary science. Nowadays, it is scientifically proven that areas exist with abnormal physical properties of the atmosphere, hydrosphere, and lithosphere. 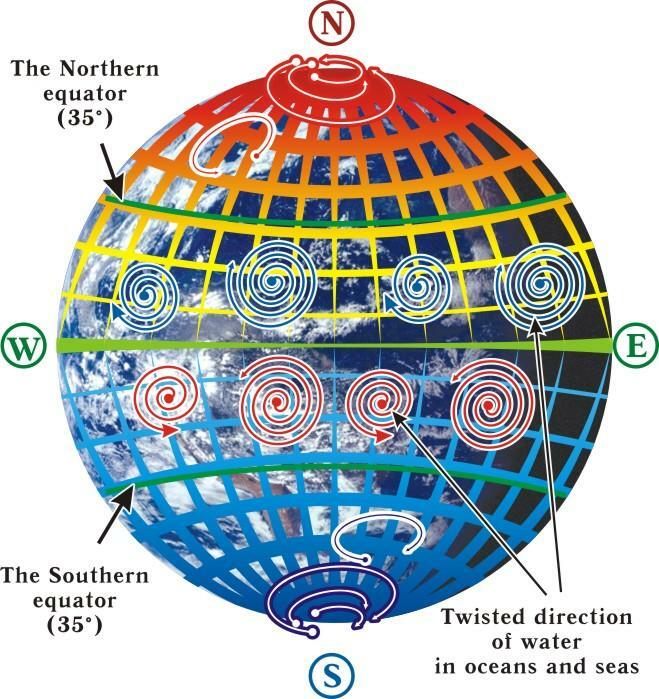 The basic theories of the magnetic fields that cover the Earth’s surface and exert substantial influence on humans were developed by the scientists Hartmann and Curie and are known as Earth’s energy grids. Hartmann’s Grid spreads over the whole surface of the Earth and resembles a rectangular grid of 2m on the north-south side and of 2.5m on the east-west. The strongest influence is exerted at the crossing points where they have a positive and negative charge in a sequential pattern, and both are unfavourable for human health. Their intensity is vertical and exerts forces even at the highest floors of buildings. Underground waters exert the same harmful effects. The worst situation occurs when a cross-point from a Hartmann’s grid happens to be situated under one’s bed or working place and also coincides with underground water. People living in such conditions are fatigued, with low energy levels, persistently tired, especially in the morning, exhausted and often ill. It is considered that many of the illnesses are provoked by the influence of Hartmann’s grid. The longer we sleep or work over such cross-points especially those with underground water, the higher the probability of a decreased energy level and illness. Our philosophy is concentrated on humans.